Our 5mm closed cell product range just got bigger . 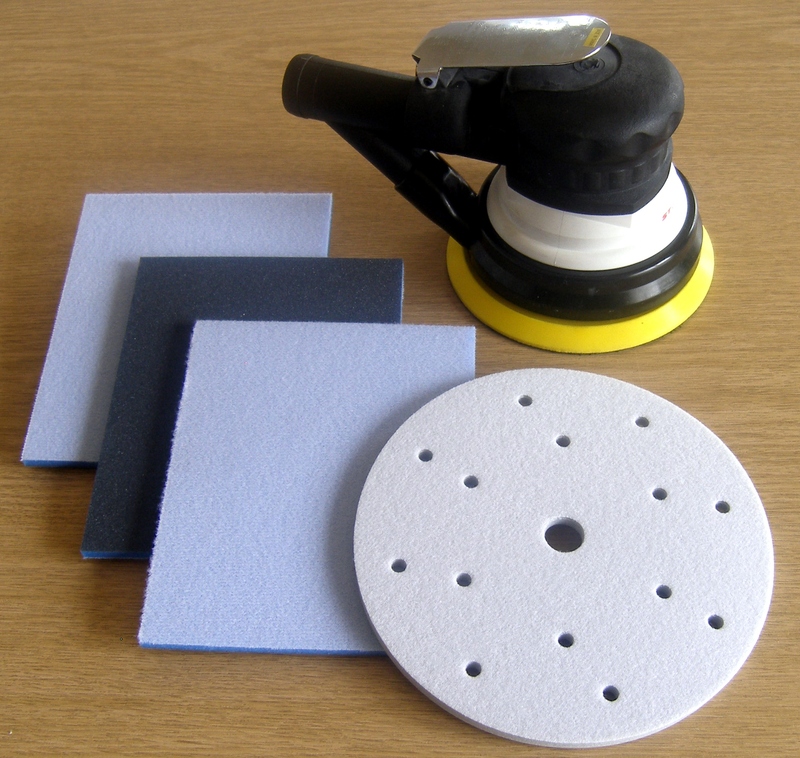 . .
We have now introduced 5mm thick abrasive sponges with a Velcro receptive backing. These are designed to attach to sanding machine bases with a hook Velcro base. Currently we offer pads 140x115x5mm or 150mm diameter discs either plain cut or with holes. The standard grit range available is 60-320 white aluminium oxide although should you require a coarser grade or different grit type please contact us. The 5mm products are already very popular and adding a variation for use on suitable power tools make them even more versatile. Although originally used for automotive applications this type of product is now often used for other general sanding jobs.